1 x câble adaptateur RS232. Cable is approx 15cm long. Cable Adapter for PC Computer Desktop. Keyboard – 6-pin Mini Din Female (purple). USB Bus powered. Mouse - 6-pin Mini Din Female (green). Chivs86 PC Cooling Supplies. - Fan Cables -. Prices are as follows (See tables below);. 6 Pin Mini DIN Female - 5 DIN Male - Keyboard Adapter. End 2: 5 Pin DIN Plug. Length: Adaptor. 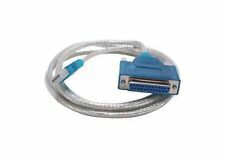 Supports RS232 serial interface. Supports RS232 Serial DB9 devices. USB to standard 9-pin / Male DB9 serial port. Windows XP x 64 bit. Windows XP x 32 bit. Windows Server 2003 x 64 bit. Windows Server 2003 x 32 bit. 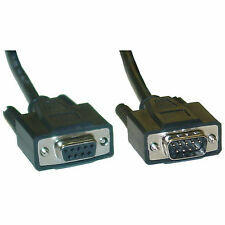 9 Pin Serial RS232 Female to Female Cable. 9 Pin Female to 9 Pin Female - Straight Wired. Also known as RS232 Serial DB9 Lead. 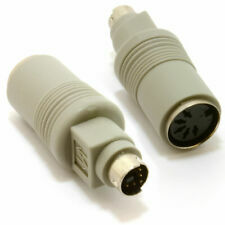 9 PIN MALE TO FEMALE SERIAL CABLE. 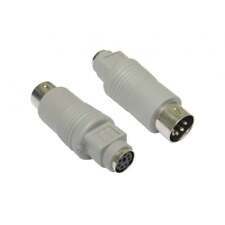 9 pin male plug to 9 pin female socket. 9 Pin Straight Serial Cable. (1) DB9 Serial female. Straight Through. D9 Female to D25 Male serial cable. Foil shielded with drain wire. D9 Female - D25 Male. 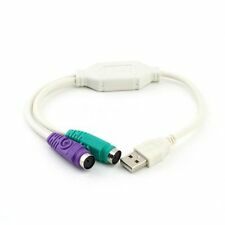 USB to 25 Pin DB25 Parallel Printer Cable Adapter New. Installation: Let's start off with a clean setup and go through the whole process. Make sure that the cable you have has the correct type of connection to be connected to your printer. 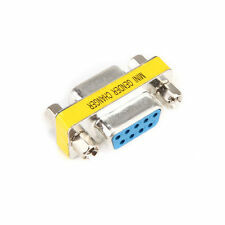 CÂBLE DE SÉRIE RS-232 DB9 F - DB9 F - 1.8 mètres. 6 Pin Mini Din, Male - Male. Straight PVC Grey jacket. Product Weight : 100 grams. Gives backward compatibility to your new PC/Laptop to older keyboards and mice. Product Details :. 8P8C connected shield. RJ-45 / Ethernet adapter / breakout board for prototyping or permanent installation. Shielded Female RJ-45 connector. 2 (30awg) to 1.0mm. Male IDC adapter / breakout board for prototyping or permanent installation. IDC Pin Pitch 2.54mm (0.1"). Suitable as breakout expander for Raspberry Pi. Male IDC-40 boxed connector with ejection latches. 25 Way Gender Changer. Converts a Female connection to a Male connection. this period if faulty. 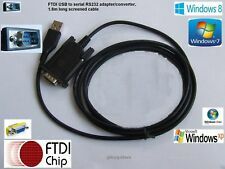 Connect your printer to any USB port with this USB to 36 pinparallel Centronics port data cable. 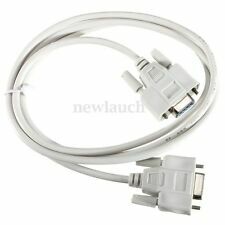 1 x 1M USB to Parallel 36 Pin Centronics Printer Cable. 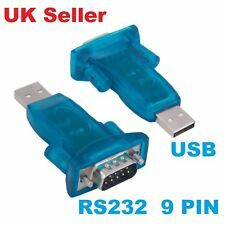 This unique cable adapter allows you to attach your computer to any parallel printer device through the USB port and get faster printing results. 6 Pin Mini Din, Male - Female. Foil shield and drain. Straight Grey PVC jacket. SKU : 000378. Moulded connections. MALE / FEMALE DB25 Test adapter / breakout board with 25 pin/pairs connected via removable 2-pin jumpers allowing simple and quick connections for prototyping or permanent installation. Male DB25 with Screwlock / Jack screws. 9-adriges Kabel mit Folienschirm. Serielles Kabel. Akkus Batterien. als Favorit speichern. Die Verriegelungsschrauben sind mit UNC-Gewinde ausgestattet und können per Schraubendreher betätigt werden. 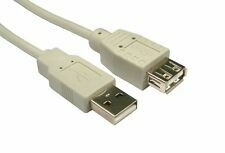 1m USB Extension 2.0 A - A Cable (Beige). Length: 1m. Our USB Cables are a high quality shielded 28awg Cable. They are 4mm thick. Connectors: 4pin USB Type A-male to 4pin USB Type A-female. 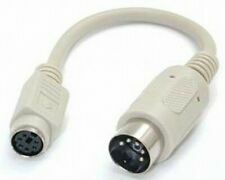 Converts any DB9 cable or port with male connector into DB9 female. Works for all serial, mono and multisync video applications. Connectors: DB9 Female to DB9 Female. Allows you to extend the length or change the gender of a DB9 cable. 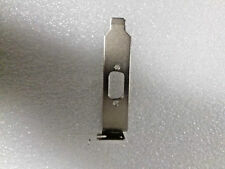 Male/Female DB25 adapter / breakout board for prototyping or permanent installation. Male DB25 with Screwlock / Jack screws. Female DB25 with Screwlock / Jack screws. Screwlock / Jack screws are the hex standoffs often fitted on D-SUB connectors. 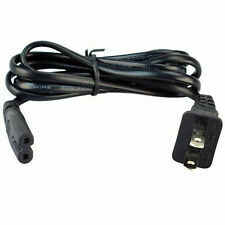 1x adapter included CablesOnline part number: TS-LB01. DB25 Parallel Plug Loopback Tester Adapter. These loopback testers help diagnose problems with DB25 parallel interfaces. DB25 parallel male plug. Fin de prise de 2, 5 broches DIN. Straight connection, 6pins (Mini-Din) Male to 6pins Female. 6 Pin Connection. Male DB9 adapter / breakout board for prototyping or permanent installation. Male DB9 with Captive screws for use with a mating connector that already has Screwlock / Jack screws fitted. Male DB9 connector with Captive Screws. Keyboard and Mouse sockets are marked on the connectors. Female DB9 with Screwlock / Jack screws for mounting the adaptor board to a wall box or panel that has a DB9 cut-out. Captive screws are male #4-40 UNC screws coming out of the face of the connector to accommodate direct mounting to a mating connector with jack screws. Connection coudée à 90° destinée à être montée sur Circuit imprimé. Connecteur DB25 standard qui convient à de très nombreuses autre applications. Envoi de France pour une réception rapide. Supports computer USB interface. 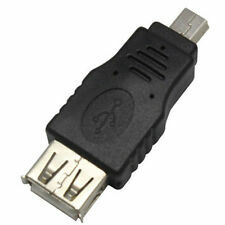 USB Connector: Type A. 5X USB specification revision 1.1 and 2. 2x 8P8C connected shields. RJ-45 / Ethernet adapter / breakout board for prototyping or permanent installation. 2x Shielded Female RJ-45 connectors. Use for prototyping or permanent installations. 2 (30awg) to 1.0mm. Great for use by a DIYer to save money rather than buying a pre-made cable. For Cable Mount Applications. Includes Strain Relief Boot. Suitable for Keyboard or Mouse. Ps2 Connector To Female 8-pin din.